Super-Speed Data Transfer The USB 3.0 interface supports USB 1.0, 2.0, and 3.0 with ultra-fast USB 3.0 data transfer speeds. Sleek Design The Lockbox Slim sleek design consists of a metal enclosure and shockproof pad that ensures protection of internal components from physical tampering. 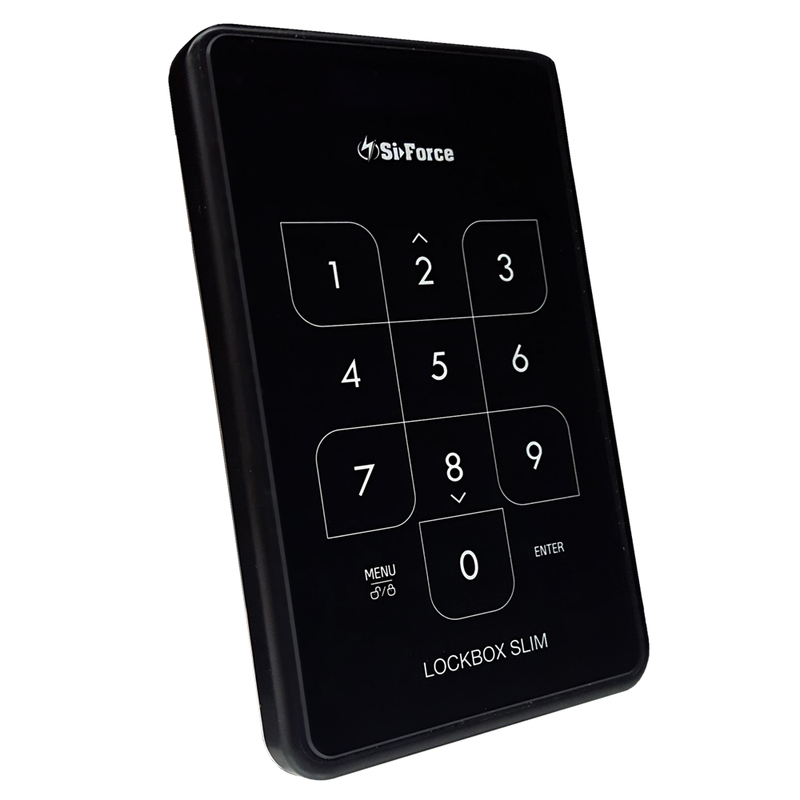 Data is protected through PIN input using a capacitive touchpad.The portable pocket sized encrypted hard drive makes it easy to transport sensitive data.